Mission Valley is frequented by San Diego locals, but even most locals have yet to discover the hidden cultural gems of this neighborhood. Check out a few of these spots, and impress a native San Diegan with your knowledge of a neighborhood best known for shopping! For history buffs, Mission Valley is a treasure trove waiting to be explored. 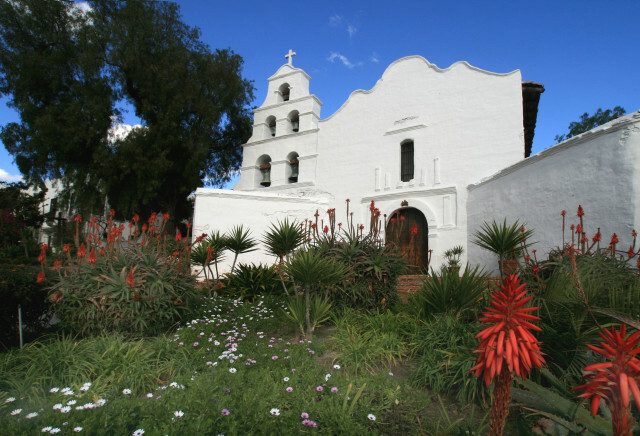 The area is called Mission Valley for a reason: this is where you’ll find Mission Basilica San Diego de Alcala, the first Franciscan mission in California. Step back in time at Old Town San Diego. The State Historic Park was the site of California’s first permanent settlement showcases what daily life was like for the earliest settlers. To return to San Diego’s truly native history, visit Mission Trails Regional Park, where artifacts from the Kumeyaay Indians can be found in the Visitors Center as well as on their hiking trails. Explore the rich cultural and natural history of Mission Valley by starting at the Mission Basilica de Alcalá. Visitors to Mission Valley some unique options when it comes to entertainment on stage and screen. Located in Old Town, the Cygnet Theater offers an eclectic array of theatrical performances throughout the year. Every March, the San Diego Latino Film Festival takes over the UltraStar Mission Valley Cinemas at Hazard Center to showcase the best in films from Latino artists. Even Mission Trails offers its own take on live entertainment, with concerts held throughout the year at the park’s outdoor amphitheater. This entry was posted in Insider Tips and tagged history, live entertainment, mission trails, mission valley and old town, old town by Candice. Bookmark the permalink.